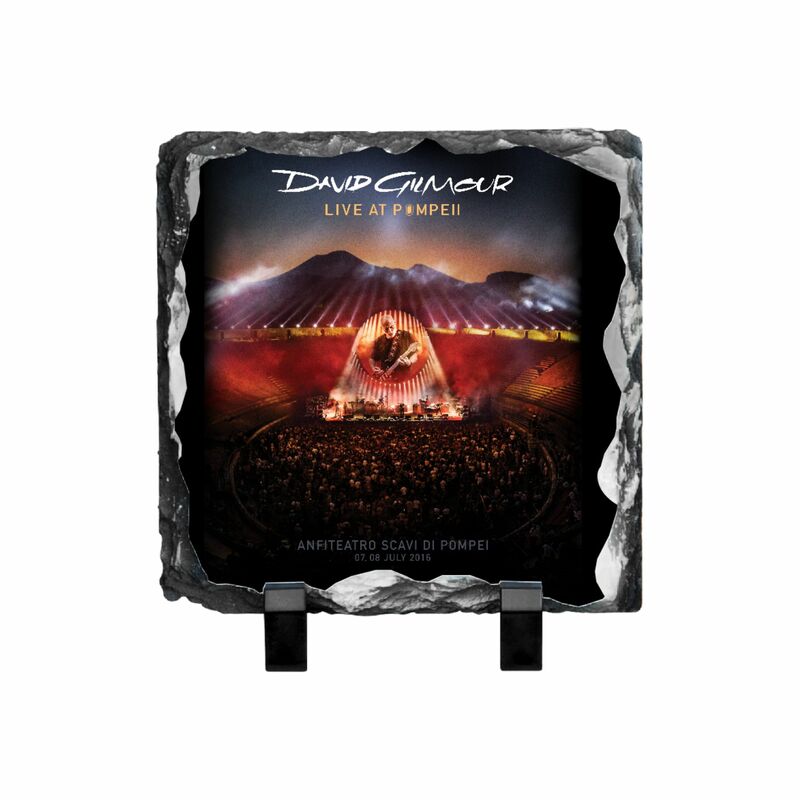 Enjoy the artwork created for David Gilmour's historic Pompeii performance on a medium as timeless as the venue itself. 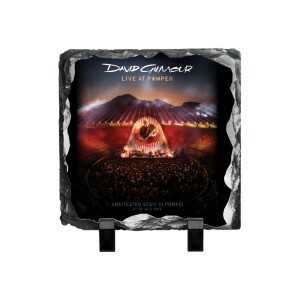 Created from finely-grained sedimentary rock, the slate canvas measures 7.5" x 7.5" and is 3/8" thick. The ultra-flat coated image area provides for beautiful and consistent photo transfer, while the individually fractured edges helps to seamlessly blend the printed image into each piece. Includes plastic stand. This is a print-on-demand item. Please allow three extra days for processing and shipment of your order. Print-on-demand items may only be returned or exchanged in the case of a damaged item.